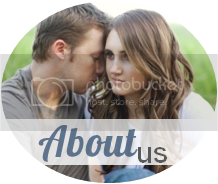 Sloanbook: Utah Blogger Meet Up Details! 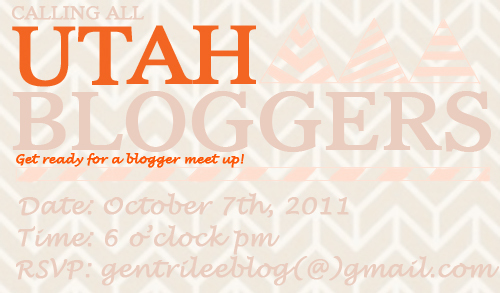 The Utah Blogger Meet Up is this Friday! Yep, it is coming up, finally! So get excited because I am! Grab your planner and a pen and take note of the details! Date: October 7, 2011 - this Friday! Location: You will find out once you RSVP. But what I can tell you is that it is at the cutest boutique/bistro. There will be treats/desserts provided. What to Bring: Yourself and do not bring any potluck items! We will be having desserts catered -not dinner! + RSVP to gentrileeblog@gmail.com if you are FOR SURE coming! We need to have an accurate headcount. If you have RSVP'ed and find out you cannot attend, please let Gentri or I know. + Watch out for an email from Gentri herself. There will be a small fee charged through PayPal. And...get ready to have fun!!! There will be little surprises such as grab bags, prizes, discounts, etc! Now please take a look at our sponsors! yay i always want to find more Utah bloggers!! Aww I wish I lived in Utah so I could come! If it was on an open weekend I could even fly up since we have flight benefits! :) I hope you guys do this again!